Zig Zag inbetween poles, collect the ball zig zag through the larger cones using your weaker foot. 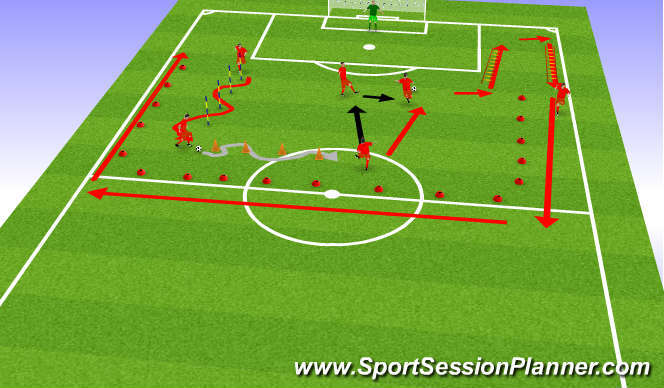 Pass the ball into the open player who lays the ball off back to the orginal player who has a strike at goal. The shooter then runs to the ladders and runs through them before following the cones back to the start and restarting.